1 West Regent Street, a new landmark development located in the heart of Glasgow city centre, has achieved practical completion, it has been announced. 1 West Regent Street, which was developed by Clearbell together with M&G Real Estate, comprises 143,000 sq ft of Grade A office and retail space over eleven levels, providing a welcome boost to the city’s commercial property market. It offers a first-class working environment, rivalling Grade A office accommodation in London and elsewhere in the UK and has already attracted a number of office and restaurant occupier pre-lets. Nick Berry, Partner at Clearbell, said: “Reaching practical completion of this high quality development is an achievement that everyone involved can be extremely proud of. 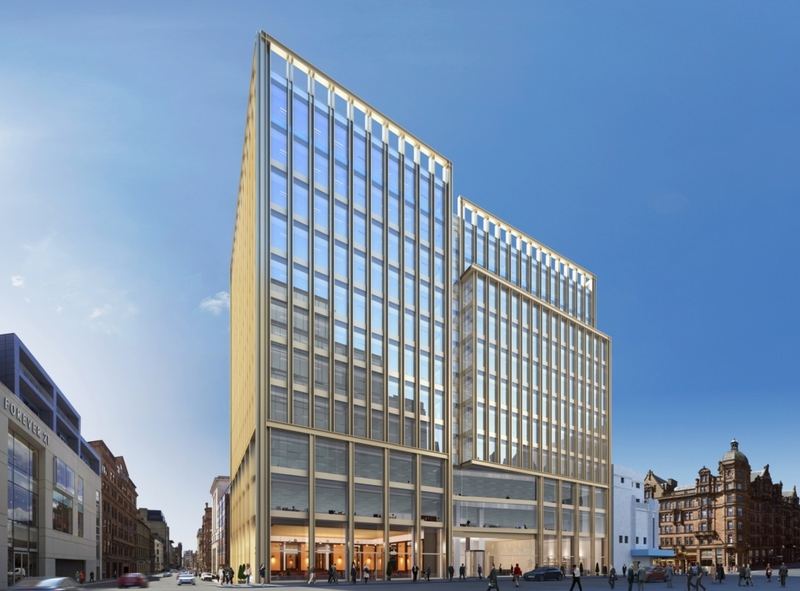 “Building on what is a very tight site in the city centre, and often in difficult weather conditions, has been challenging, but I am delighted to say that the hard work has resulted in a first class office building for Glasgow. Not only does it benefit from flexible, high quality accommodation, but the building also has excellent sustainability and design credentials. It is located in a prime setting in the Central Business District and next to Glasgow’s most popular retail zone. 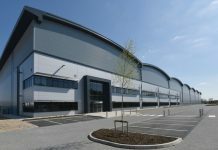 The building has a double height reception, high quality finishes throughout and open plan, flexible and efficient floor plates which range from 12,818 sq ft to 13,702 sq ft and are virtually column free. It also includes 40 car park spaces and 54 cycle spaces, and has dedicated sports style changing rooms with lockers and high powered showers. It is one of Glasgow’s greenest buildings with EPC ‘A’ and BREEAM ‘Very Good’ ratings achieved following assessments. It was completed in just 85 weeks. Global engineering firm Weir Group PLC, media organisation Global and professional services company Arup will take occupation of four office floors later this year. Restaurant and café chain Giraffe, the first retail and leisure operator for the development, will commence fit out of its unit in May 2015. The scheme was designed by Ryder Architecture with Sir Robert McAlpine as the main contractor and Woolgar Hunter as engineering consultant. Other consultants included Doig & Smith (project managers) and Atelier Ten (environment design consultant). GVA James Barr and JLL are letting agents for the office development with CBRE and Culverwell marketing the ground floor retail units.